A full-colour 6-page leaflet with Bible passages, puzzles and questions looking at why the tomb was empty on Easter Sunday. Based on Matthew 28:6. Ages 6-12. 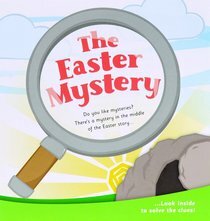 About "The Easter Mystery: Children's Easter Tract (25 Pack)"